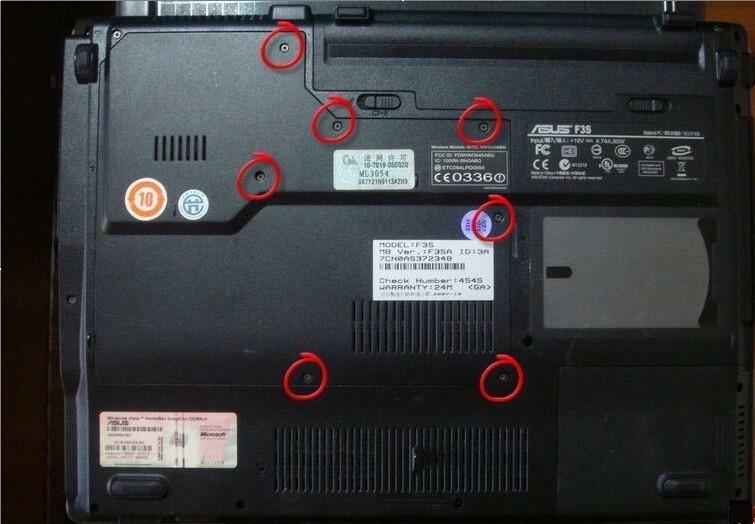 In this guide, the acutal laptop is Asus F3Sa. First of all, turn off your ASUS F3, disconnect the ac adapter and remove the battery. 1. 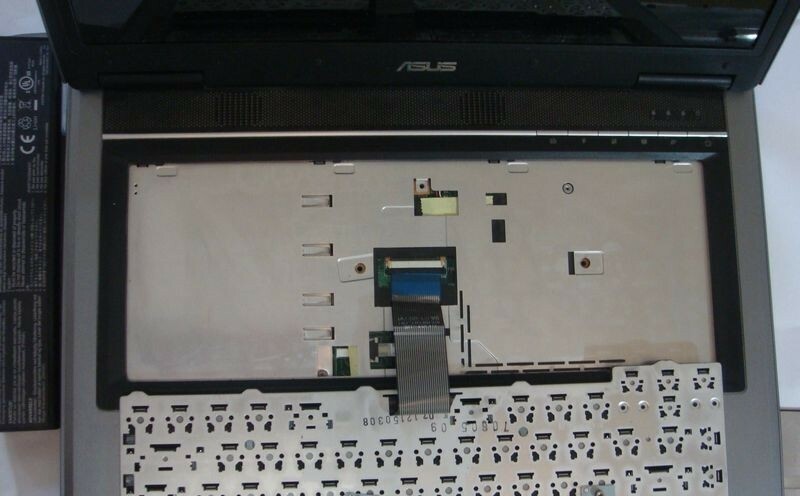 Turn the ASUS F3 upside down, remove the seven screws then remove the cover. 2. 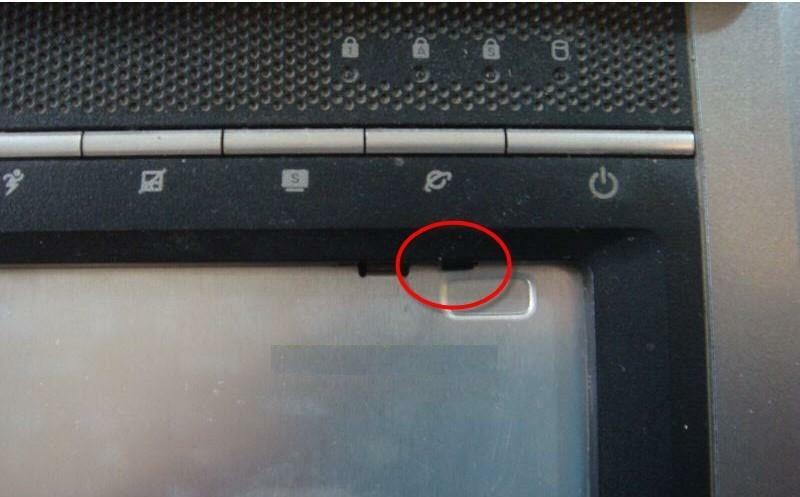 Remove the two screws marked on the picture. These two screws secure the ASUS F3 keyboard. 3. Turn your laptop right side up and open it up. 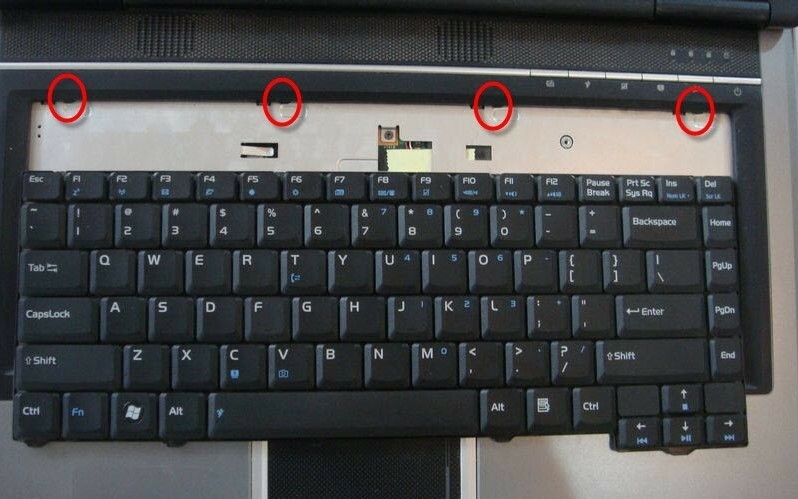 There will be 4 tabs above the keyboard locking it down in place. 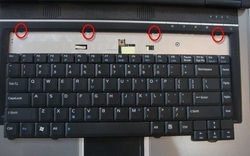 These tabs are located above the 'ESC', 'F5', 'F10', and 'Ins' keys. Push each of these tabs back, toward the display to unlock the keyboard. 4. 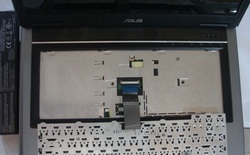 Turn the Asus F3 keyboard over and place it on the palmrest. Now you can access the keyboard cable. 5. 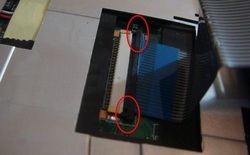 Unlock the keyboard cable connector and remove the keyboard cable. 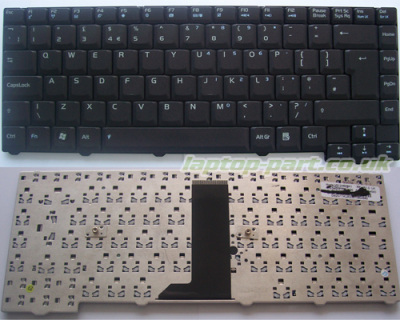 Now, you can remove the Asus F3 keyboard. You can find the new Asus F3 keyboard here .